This NEW Yakima item may have been reboxed. All original parts and manuals are included. Item is in new condition and covered by Yakima's full warranty. 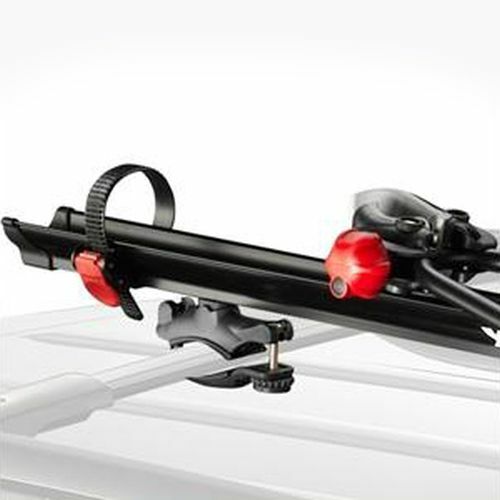 Yakima 8002093 Raptor Aero Upright Bicycle Racks Bike Carriers hold your bike by the down tube with adjustable, rubber padded locking jaws and a collapsible triangulated arm. The Raptor will fit just about any bike with 20" wheels or larger. 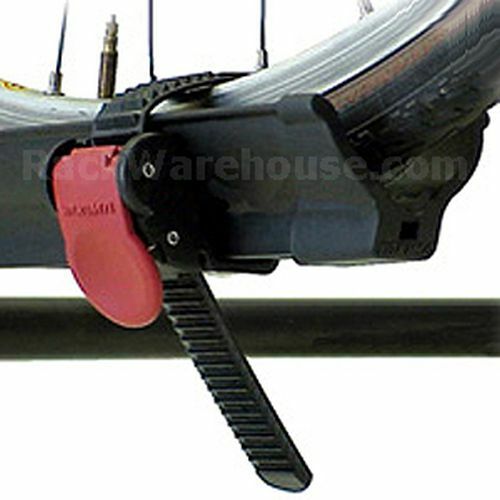 The Raptor Aero's rubber padded jaws will grip and carry down tubes of any shape from 1" to 3" in diameter. Carrying composite frame bikes is not recommended. 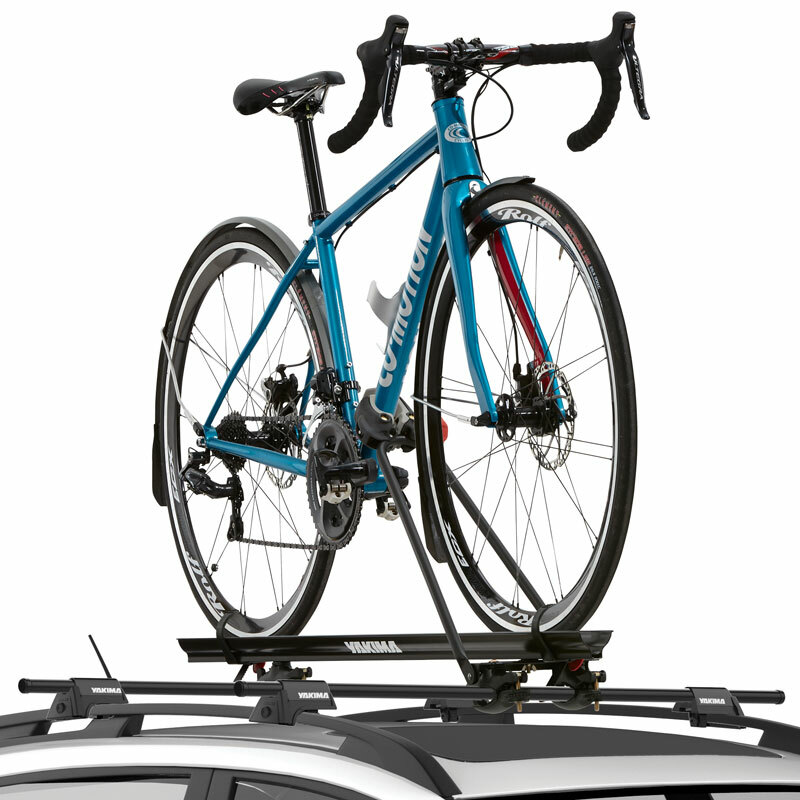 The Yakima Raptor Aero Bike Rack secures both wheels with sliding, adjustable, ratcheting wheel straps. 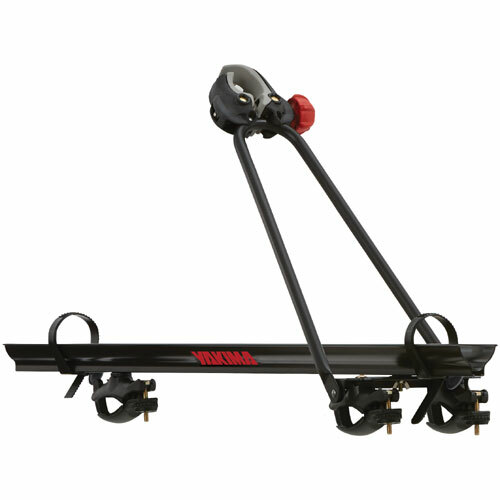 The Raptor can carry bikes with disc brakes or thru axles with no problem. 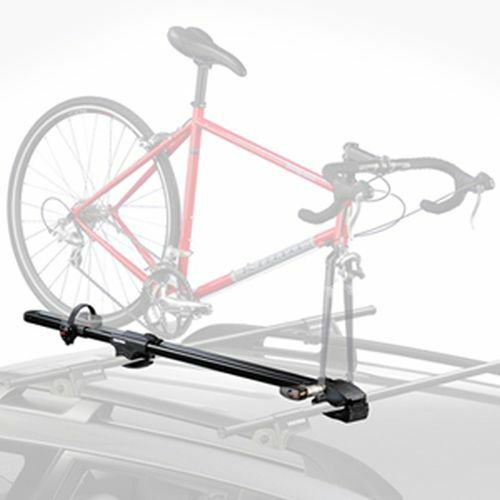 The Raptor Aero Bike Rack is lockable with 1 Yakima SKS core (sold separately - see below). 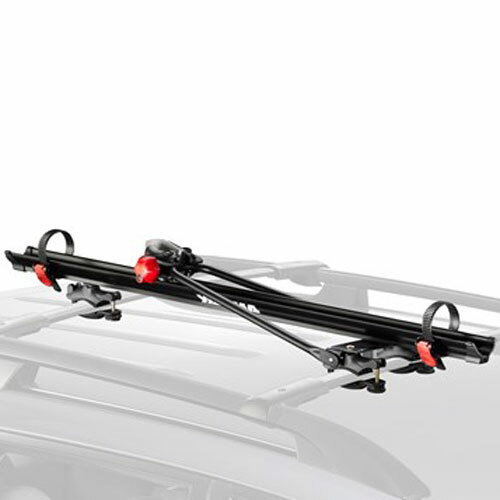 The Raptor Aero fits Yakima Roundbars, Thule Square Crossbars and most factory installed wing shaped crossbars out of the box. 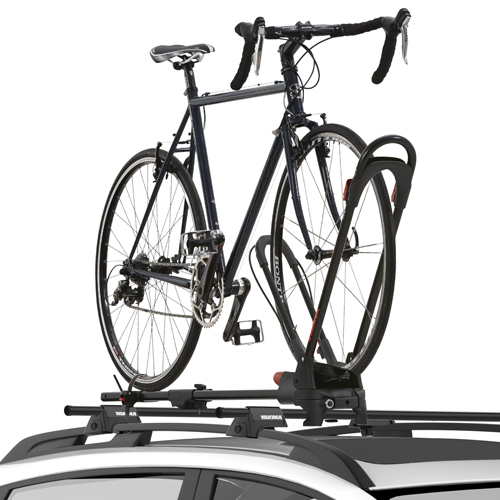 Multiple bikes may be carried on your roof rack by alternating the direction each Raptor Aero is facing. 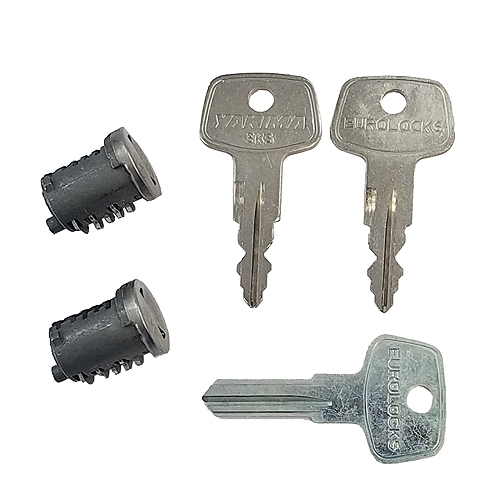 All mounting hardware, installation tools and set-up instructions are included.